In my final post introducing new Current Topics Workshops this year, I highlight my conversation with Margaret McCullers, associate director of academic and special projects at the Institute for Study Abroad, Butler University (IFSA-Butler). McCullers joined with Chelsea Kindred, Lindsay Calvert, LaNitra Berger, and Gretchen Cook-Anderson, to develop the new and timely workshop, Navigating Diversity and Inclusive Excellence in Education Abroad. In this workshop, participants will examine solutions to barriers that inhibit underrepresented populations from participating in education abroad programs, and craft individualized action plans that support diversity and inclusion initiatives. What excites you about this workshop topic, and how is it important to the field of international education today? McCullers: Inclusive excellence, as well as diversity and inclusion, are both critical topics for the field of education abroad. Over the past 10 to 15 years, who is accessing study abroad has been a focus for many institutions. Many strategies and pilot projects have been met with success, yet disparities still persist. Furthermore, the focus has evolved to include both who is, and who is not, accessing study abroad (underrepresentation) and how students thrive when abroad (inclusive excellence – our ecosystems, how learning environments, structures, and systems are designed to benefit certain students rather than to leverage the participation of all for the benefit of all). I am particularly passionate about this topic, as it has been a major part of my job responsibilities over the past seven years in specialist roles both at IFSA-Butler and at my previous role in a large, public university. I’ve had the privilege of leading many innovative initiatives designed to level the playing field so all students are encouraged to consider studying abroad. McCullers: Anyone who is committed to advancing their practice in the areas of diversity and inclusion. What types of activities will participants engage in during the workshop? McCullers: We will examine a collection of successful examples of diversity and inclusion initiatives from thought leaders in the field, and look at case studies and best practices for inspiration, but most of the learning will be co-created. Workshop participants will craft individually tailored action plans. What do you hope attendees will take away from this workshop experience? McCullers: In addition to the action plan and a host of relevant ideas to explore and implement at home, participants will build their network of colleagues passionate about diversity, inclusion, and inclusive excellence. The ideas we uncover could help us collectively change the field through ongoing efforts throughout our careers! 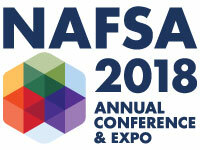 To learn more about Navigating Diversity and Inclusive Excellence in Education Abroad and all of the workshop offerings in Philadelphia, check out the NAFSA 2018 Annual Conference Preconference Workshops at www.nafsa.org/ac18workshops. Dena Neese is the 2018 NAFSA Annual Conference Committee Workshop Coordinator and the associate director of international support services at Virginia Tech.